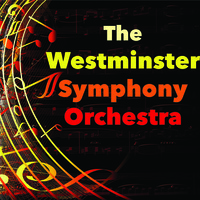 McDaniel College’s Department of Music will present The Westminster Symphony Orchestra in concert Saturday, December 8 at 3:00 p.m. The concert will take place in WMC Alumni Hall. The orchestra is composed of McDaniel students as well as Carroll Community College students and community musicians. Dr. Linda Kirkpatrick directs the orchestra. McDaniel students performing as part of the WSO include Emily Barker, Ethan Brown, Micaela Champion, Nicholas Cummings, Alec Hedstrom, Clayton Herbst, Matthew Hopson, Laurel Pogue, Andrew Pyne, Jackie Sherwin (grad student), Cade Leek, Jonathan Nepini, Michael Nepini, Pierce Prue, and Brandon Schlichtig. They are joined by McDaniel alumni Natica Losee, Alan Lyons, Betsy Meade Turner, Deborah Seidel, and Brian Thompson, and McDaniel music faculty department members Rachel Andrews, Nicholas Currie, Lynn Fleming, David Motter, Nick Reider, Robert Sirois, and Alice Tung. Other performers with the orchestra are Carroll Community College students Chance Caprarola, Gregory DeGroff, Grace Hartman, and Ethan Warfield, Carroll County Public School students Martinia Adolfs, Brenna Connell, Natalie Davenport, Lance Davis, Brandon Lauffer, Alayna Mahosky, JP Neubert, and Patrick Rippeon, and community musicians Georgia Andews, Jeff Baker, Barbara Bowen, Benjamin Brown, Danielle Concon, Christina Cook, Jennifer Hoff, Kathleen Bromelow Jansen, Bobbi Little, Gracie McNeal, Ron Maleson, Harry Meade, Amanda Polanowski, Jenny Ribecca, Cindy Rosenberg (WSO assistant director), Kevin Solomowitz, Daniel Sperlein, Daniel Vogel, and Sarah Zimmermann.